The teacher’s unions are bullies, but now we know the lengths they will go to stop people. When this teacher dared to question the salary of her superintendent, she received an interesting response. 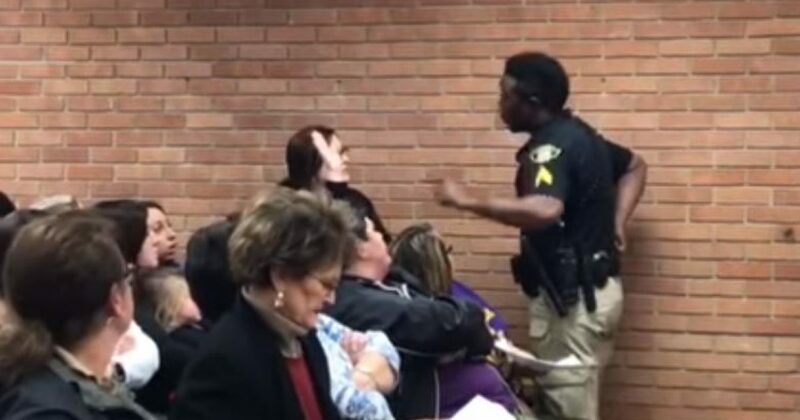 A Louisiana teacher who spoke out about a superintendent’s pay raise during a Vermillion Parish school board meeting on Monday was escorted out and handcuffed by a marshal, according to KATC. Good point. Sounds like this teacher got a hard lesson in Leftism: just because you work, doesn’t mean you get the rewards. She obviously thought only money-grubbing capitalists mucky-mucks get raises? Was she arrested or just detained? I don’t know. But the school board made its point. Don’t question management. There is some irony that a black officer manhandled this white woman with a black name! Deyshia got handcuffed! That’s got white cop, black chick written all over it! As for the superintendent, that extra $38,000 might come in handy for his potential lawsuit. Interestingly, nobody understands why she was arrested. I heard one of the school board members say, “Put the handcuffs on her”, and next thing you know, she’s got new bracelets. Hopefully we can let you know the outcome, but I see a lawsuit in the future of this school district.